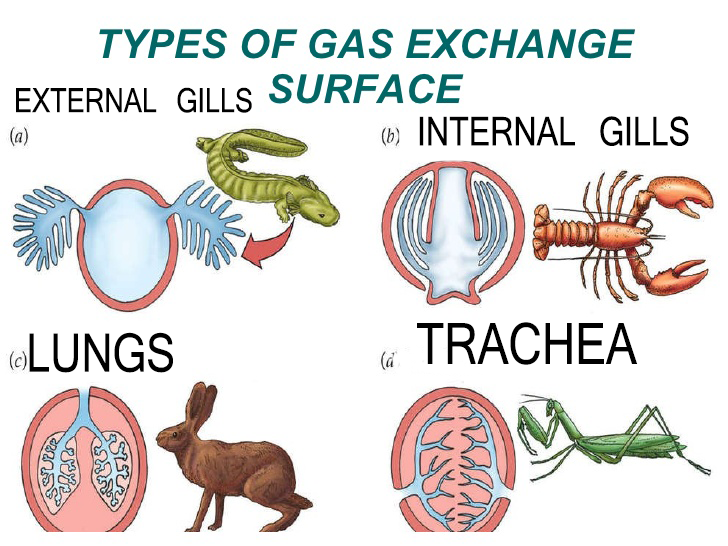 Gills do the same job for fish that lungs do for many other kinds of animals, including humans. Animals need to take in oxygen gas for the chemical reaction that powers their bodies. They also need to throw out carbon-dioxide gas, which is a waste product of that reaction. Lungs take oxygen from the air and send carbon dioxide out through the air. Gills take oxygen out of the water and let water carry away carbon dioxide. 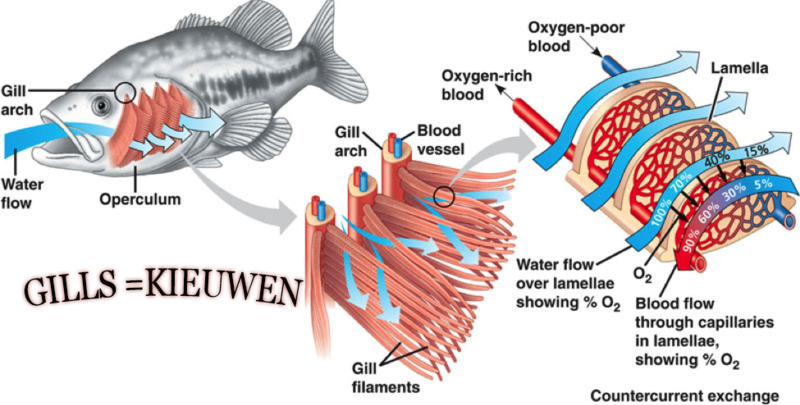 Fish force water through their gills, where it flows past lots of tiny blood vessels called Capillaries. 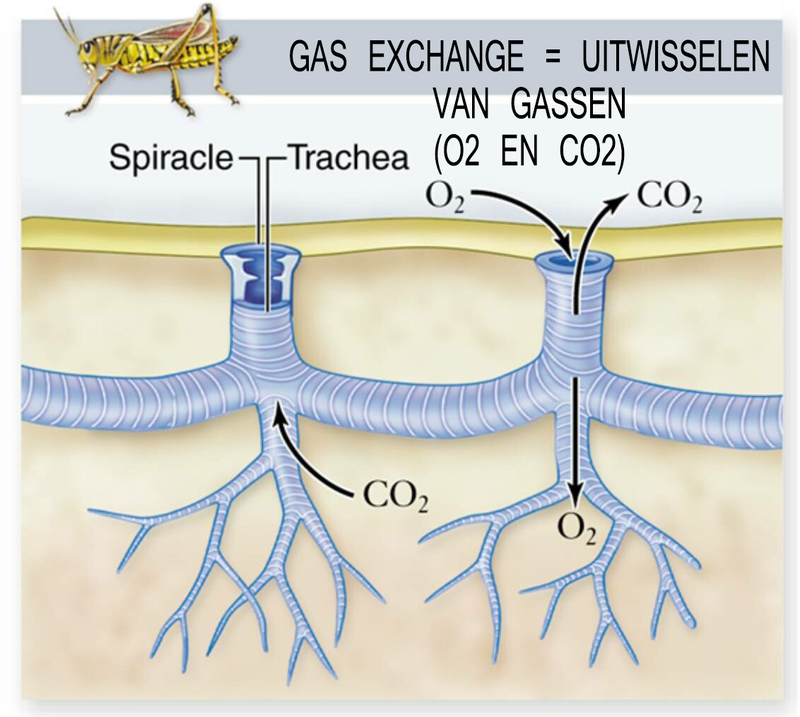 Oxygen goes through the walls of those vessels into the blood, and carbon dioxide seeps out. 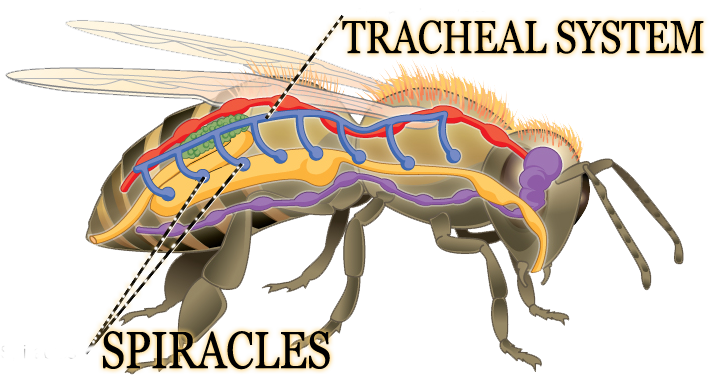 Insects exchange oxygen and carbon dioxide between their tissues and the air by a system of air-filled tubes called trachea. Trachea open to the outside through small holes called spiracles. 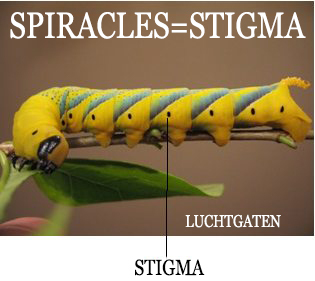 Spiracles open into large tracheal tubes. These, lead to finer branches (vertakkingen). The branches penetrate to every part of the body. At their extreme ends, they are very thin and small. This is the axelotl it is a very rare kind of animal. It is a salamander. Most salamanders are born with gills and lungs. When they are young they use their gills, and when they get older they loose their gills, and they start to use their lungs more. Something went "wrong/differrent" with the axelotl. It looks like this salamander is still growing up! His whole life it will use both the gills AND its lungs. You can see the gills. On the axelotl the gills are outside the head. Not inside the head like fish. 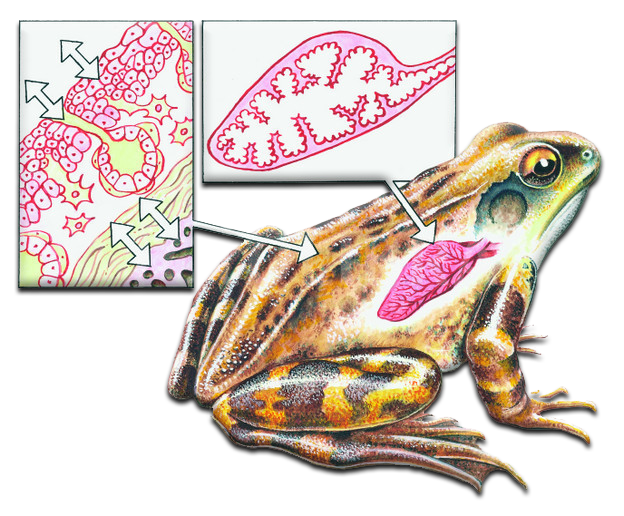 Frogs breath through lungs and skin when they are adult.